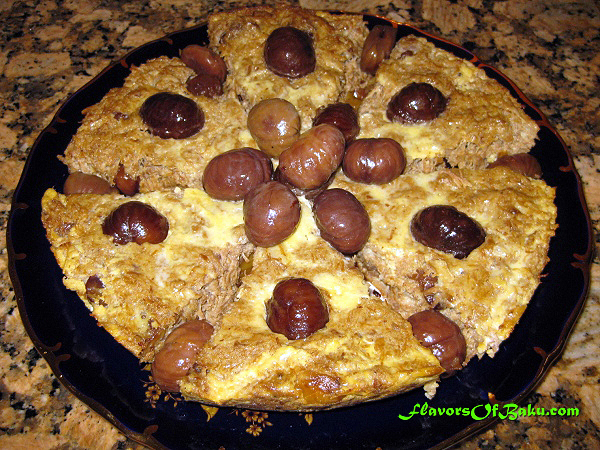 Name “Khoyagusht” is a Persian origin, as almost all the dishes the Mountain Jews cuisine. Khoya – means eggs and Gusht – means meat. 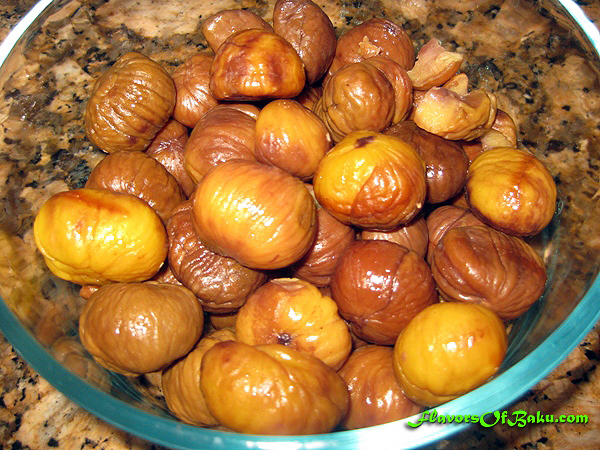 Properly prepared Khoyagusht has a delicate taste and delicious flavor. It can be cooked either in a frying pan or in the oven. 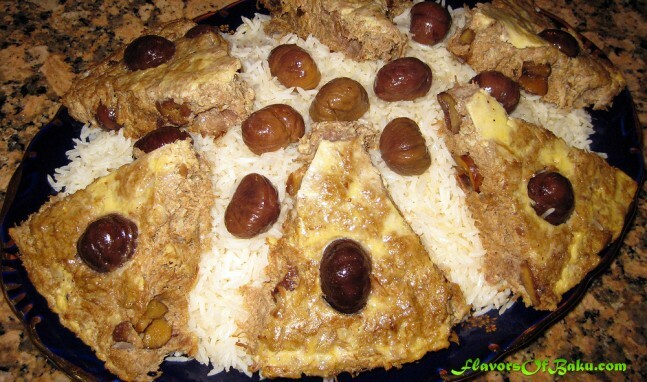 Khoyagusht usually served with Osh (rice/pilaf). Place the meat in the pot, add the water just enough to cover the meat. 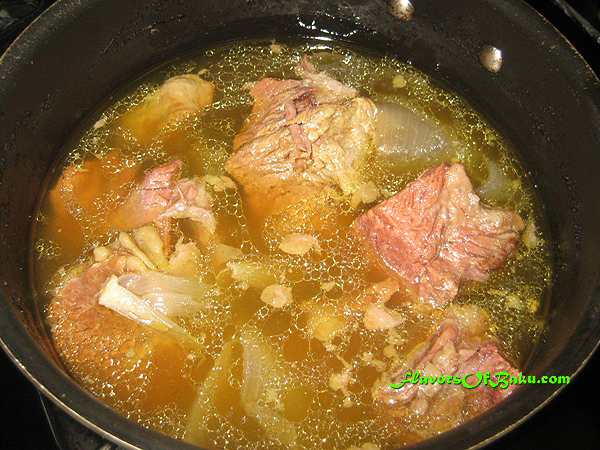 As the water comes to a boil, skim the foam off, add 1 onion, salt and pepper, reduce heat to low and simmer the meat for about 2-3 hours until meat is very tender. Allow the meat to cool down in its own broth. 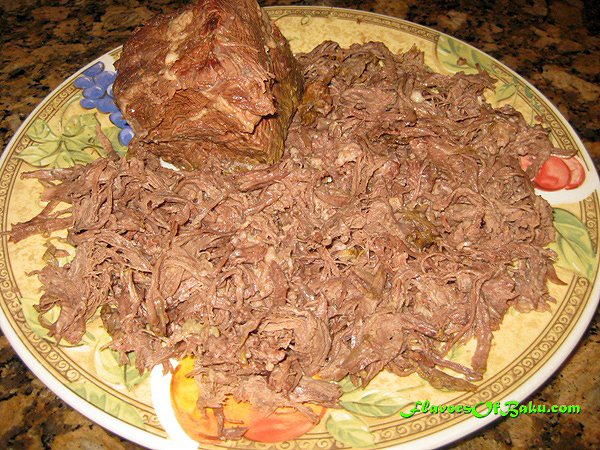 Remove the meat from the broth, separate the fat from the meat, and shred the meat using two forks or your hands to pull it apart. 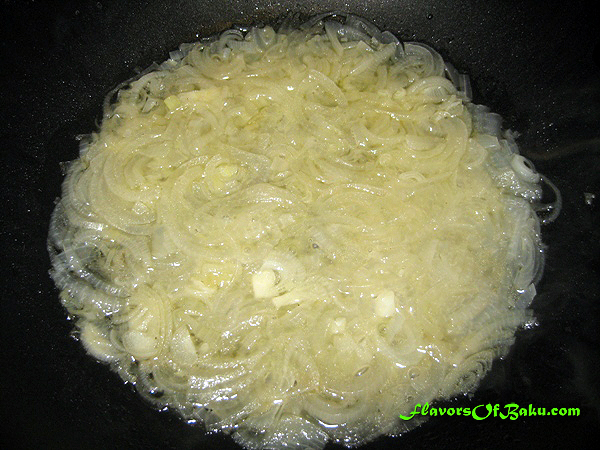 Remove the onion from the broth and mash it well with a fat. Mix them with a shredded meat. 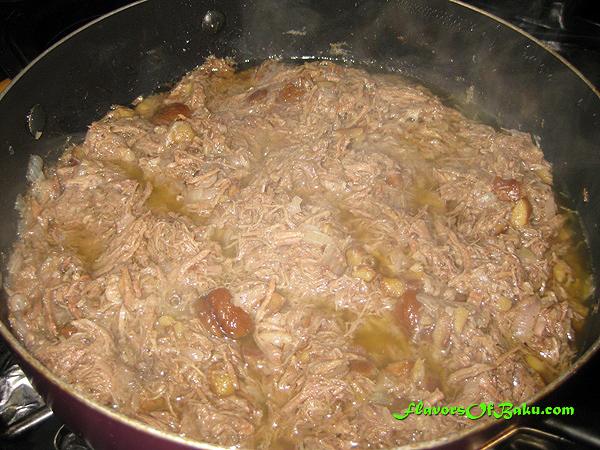 Add shredded meat and cooked chestnuts into the skillet with the onion and mix all together. Then add a few tablespoons of broth, cover the skillet with the lid, and cook meat mixture covered, for 20 minutes over low heat. 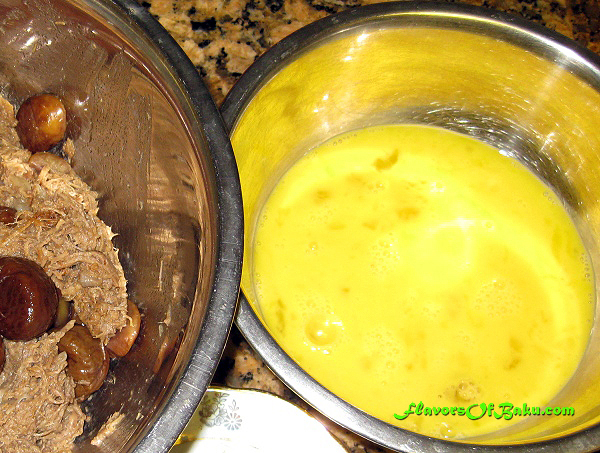 Separately, whisk the eggs, add salt to your taste, and mix with the meat. You can mix the eggs with the meat mixture right in the skillet, or in a large bowl, and then place the mixture back to the skillet. 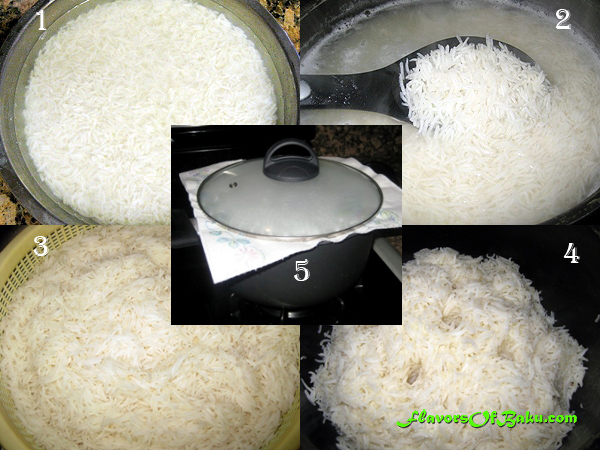 Cover the skillet with a lid and cook Khoyagusht over low heat until the eggs cooked all the way through and have set. 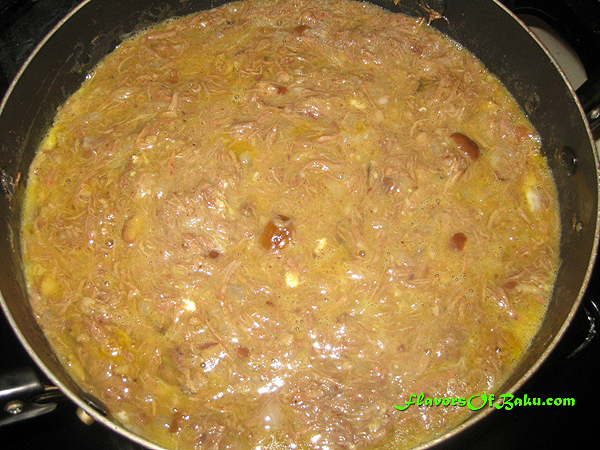 Then, turn off the heat and leave the Khoyagusht in the pan for a minute to absorb all the juices. Cut Khoyagusht into portion-sized pieces and serve with Osh (Pilaf). I was wondering if you ever considered your server crash? We are ready to provide the best Raid data recovery service. Please keep us in mind. Thank you!